Joomla! 1.5 has had a (longer than expected) good run and we've been offerring support for our customers long after it entered end of life, with the release of 1.5.26 back in March 2012. However, things need to move forward. We will be dropping support for Joomla! 1.5 completely beginning 1st of March, 2015. RSFirewall! R42 comes with two highly awaited (and requested) features: country blocking and automatically blacklisting repeat offenders. Posted by Octavian Cinciu	in Development, RSFirewall! Posted by Alex	in RSFiles! Joomla! 1.5.25, 1.7.3 and RSFirewall! revision 33 just released! Joomla! 1.5.25 and 1.7.3 have been released today with an important security update, which fixes several issues found in the password resetting mechanism. We've updated RSFirewall! 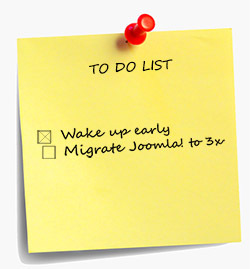 with Joomla! 1.5.25 and 1.7.3 hash files as well. Both, Joomla! 1.5 and 1.7 users are advised to upgrade Joomla! and RSFirewall! to the latest versions and perform a new RSFirewall! "System Check". Posted by Mihaela	in RSFirewall!